Let us treat you like a King and Queen and guide you through the unknown, reveal the unseen and unravel for you the pleasures of indulgence. True to our philosophy of chic luxury living we invite you to unwind in sumptuous living spaces adorned with unrivaled views and refined finishes of smoked wood and gold-rose that inspire a feeling of harmony. 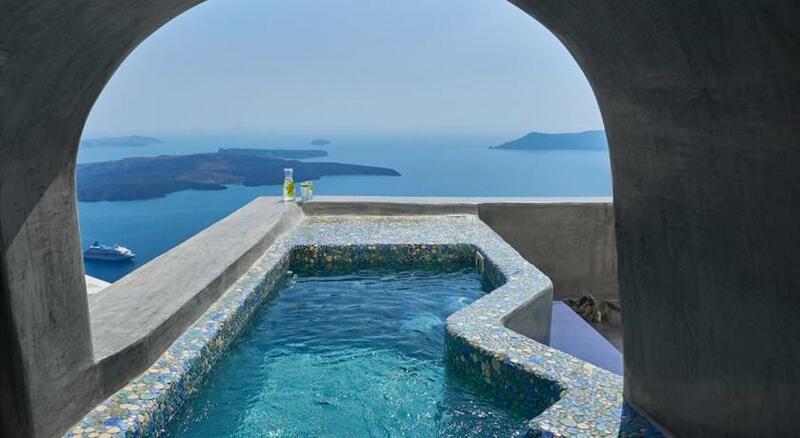 Cavotagoo Santorini is a prestigious 5-star hotel in Imerovigli, perched above the world renowned Caldera in Cyclades, Greece. 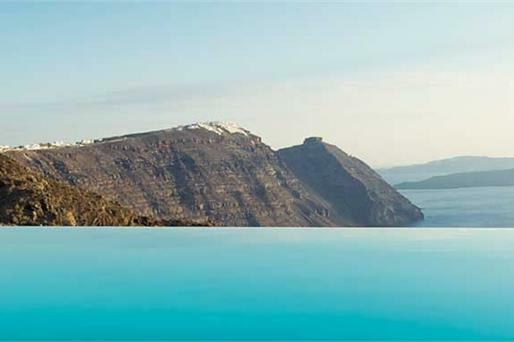 True to its brand name, this enchanting luxury hotel in Santorini is a stunning embodiment of elegant sophistication, sheer natural beauty and ingenious architecture offering both privacy and uninterrupted views to Santorini’s life-defining sunsets. 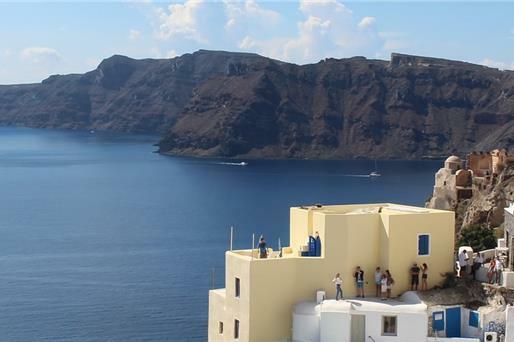 Surrender to the miraculous hues of the sunset against the dramatic backdrop of the spell-binding caldera and the scintillating azure of the Aegean Sea as you savor exceptional dishes from the "OVAC" Mediterranean Fusion cuisine and the Mediterranean gastronomy at one of the finest Imerovigli Santorini Hotel-Restaurants. 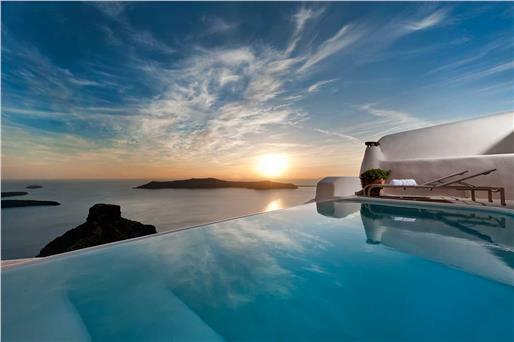 Experience a once in a lifetime journey of flavors and aromas in an environment oozing romance. 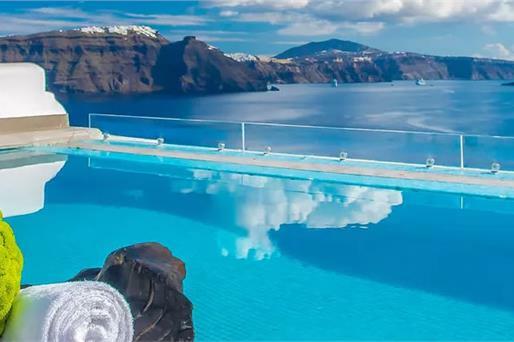 Located 5 km from Fira and 6 km from Oia , the Cavo Tagoo Santorini is an exclusive all-suite hotel offering luxurious accommodation , sunset views and personalized services. Free WiFi is offered throughout the property and free private parking is available on site. The modernly decorated suites feature either a hot tub or a private pool, designer items and include a 43" flat-screen TV with satellite channels, DVD player and a veranda or terrace. The Ovac sea-view restaurant serves Mediterranean fusion cuisine in its elegant interior or at the terrace, while guests can also enjoy cocktails, refreshments and light meals at the hotel's pool bar. 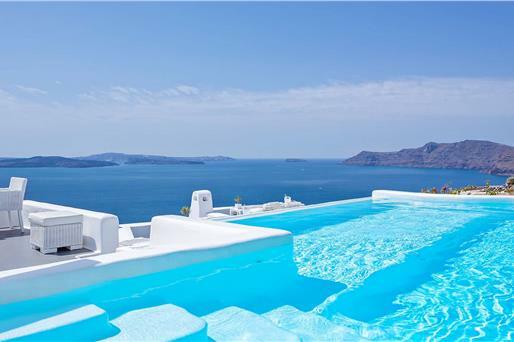 Cavo Tagoo Santorini can arrange boat trips to nearby islands and private daily cruises. The hotel also offers car hire via concierge. The hotel’s 24-hour front desk can arrange babysitting, laundry service and newspaper delivered to your door. 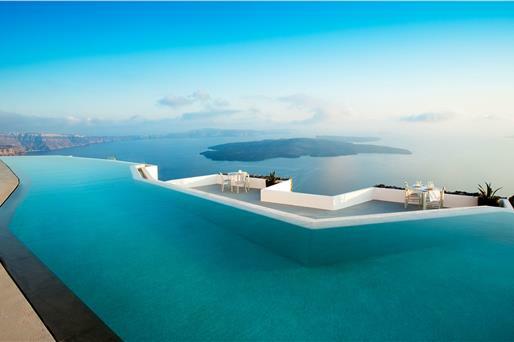 The nearest airport is Santorini (Thira) Airport, 10 km from Cavo Tagoo Santorini. Free on-site parking is available. 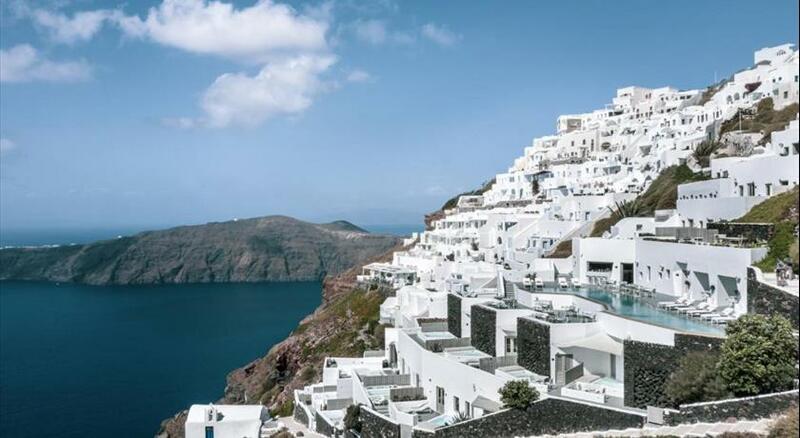 Please inform Cavo Tagoo Santorini in advance of your expected arrival time. You can use the Special Requests box when booking, or contact the property directly with the contact details provided in your confirmation.